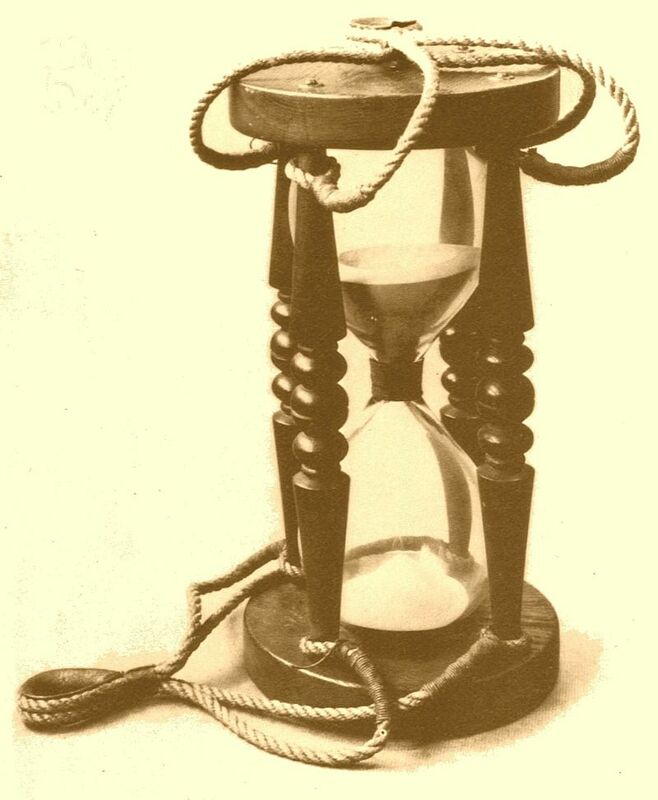 A sandglass, more commonly referred to as an hour glass, was an important tool used in 18th-century sailing, the era of the Betsy, a ship scuttled in the York River by the British at Yorktown in 1781. These timepieces were calibrated for specific increments of time and would have been used for everything from keeping track of work shifts to timing distance measurements. The precise measurement of time allowed sailors to calculate distances and speed so that they could track their location. From the Betsy shipwreck, we have evidence of at least two different sandglasses, each telling a different story. 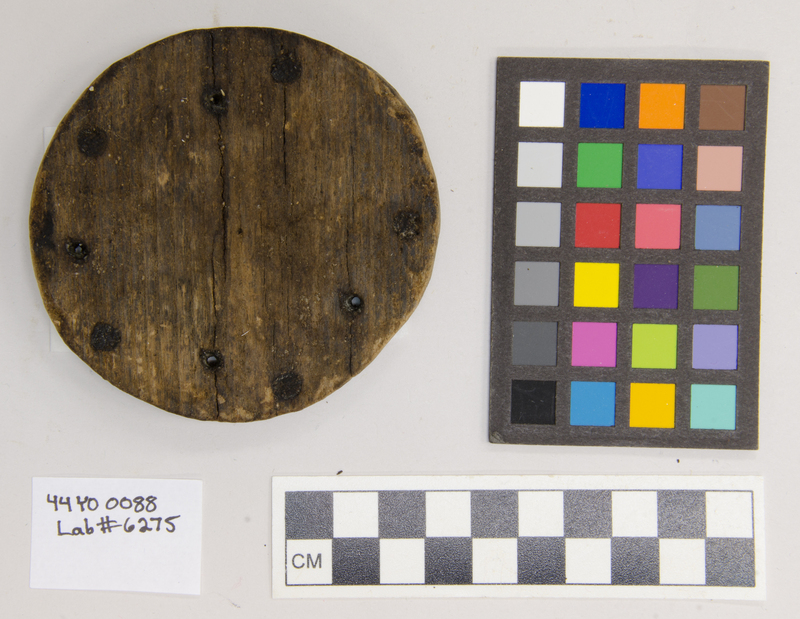 The same base also has four irregularly spaced holes, likely made by nails, another indication it was re-purposed. 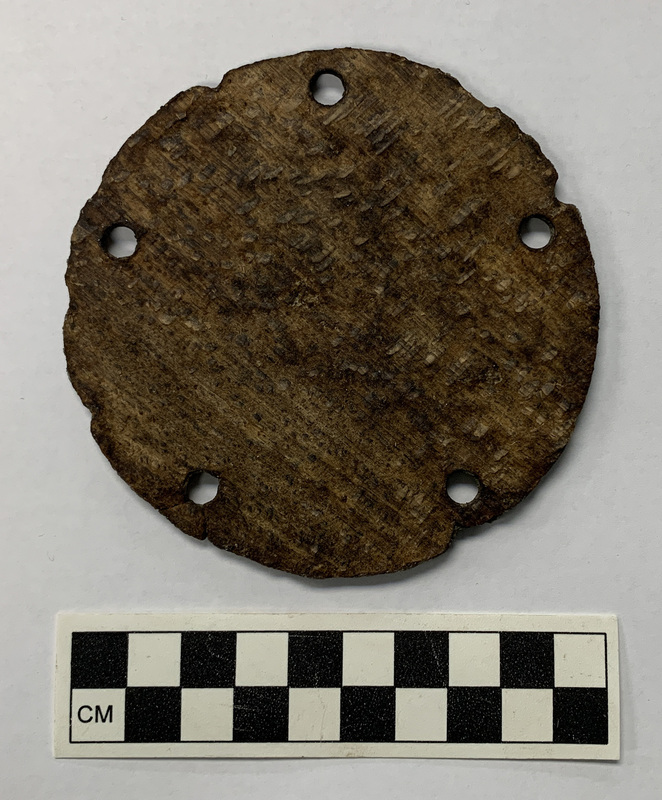 The cleanly sawn dowels, and the nail holes indicate the sandglass base had value beyond its service as part of a timepiece. It could have been reused, maybe for plugging or bracing. While we’re not sure of its actual use, clearly men on the Betsy chose to keep it and not throw it away. 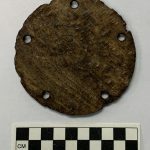 The evidence of a second sandglass derives from two surviving bases (photos 2 and 3 below) found near each other during the underwater excavations of the shipwreck. The bases are a perfect match in size, wood type, and in the location of the dowel holes. 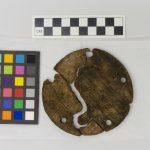 Although excavated in the late 1980s, the bases were recently identified as the constituent pair of a sandglass during the retreatment now underway of the Betsy artifacts, a project funded by the National Park Service. The base of a sandglass with dowels sawn off and nail holes (positioned figuratively at 12, 4, 6, and 9 o’clock). Wood base of sandglass with holes from dowel rods. Fragmented wood base of sandglass, with holes for dowel rods. Pieces of a sandglass were found on the shipwreck near the sandglass bases. Before technology allowed the classic figure-8 sandglass to be blown in one piece during fabrication, the sandglass figure was formed by joining together two separate glass vials at their rims, and winding waxed string around them. 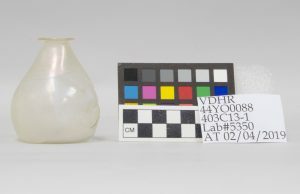 These glass pieces also were not previously associated with each other. But now, thanks to the original archaeological site records and a new pair of eyes, they have been identified and reunited. 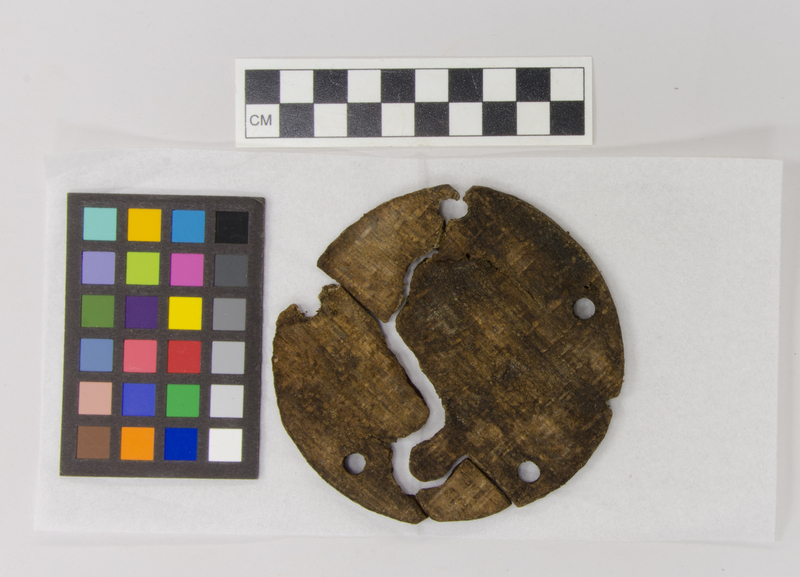 These artifacts offer a glimpse at some important tools on the Betsy. Time pieces were in use constantly and were integral to the smooth running of a ship. 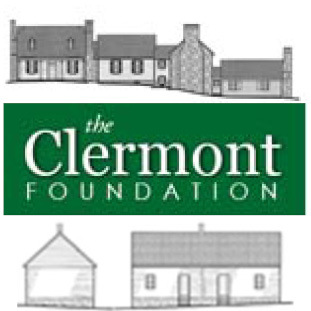 Stay tuned for more information on the Betsy Retreatment Project! Meanwhile, for more information on sandglasses: https://en.wikipedia.org/wiki/Marine_sandglass. 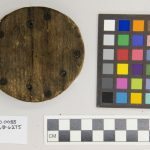 And for more information on instruments of early navigation: https://www.nps.gov/fora/learn/education/navigation-and-related-instruments-in-16th-century-england.htm. 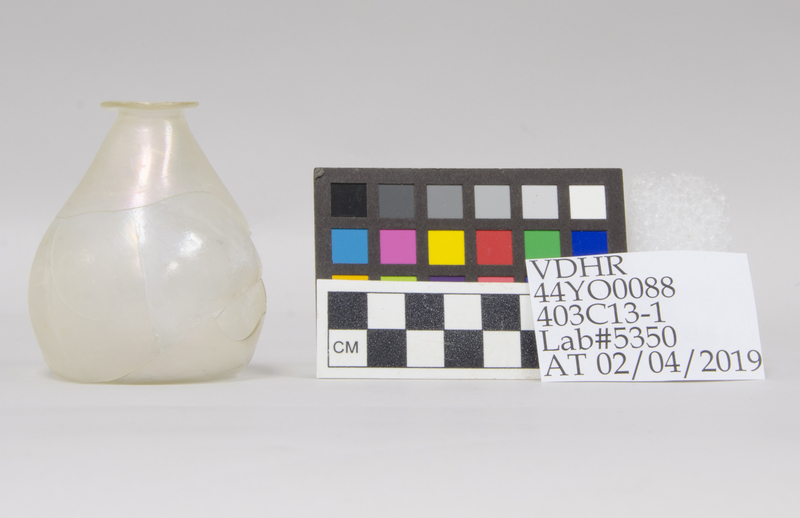 Read a previous blog about re-conserving the Betsy artifacts. 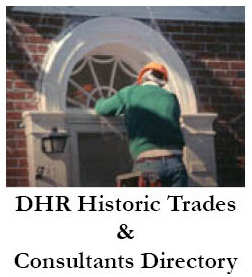 See previous blogs in “Spotlight on DHR Collections” here.